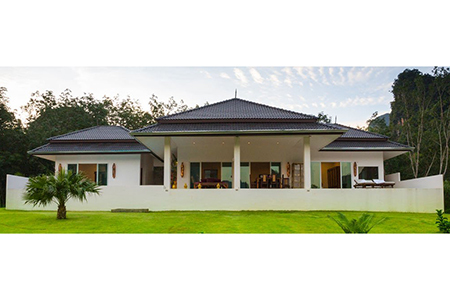 Price discounted: 48,000,000 THB 39,900,000 THB or give us an offer! 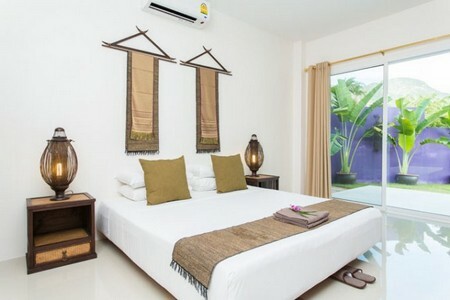 This luxury pool villa retreat consists of 3 fully furnished luxury pool villas each with 2 bedrooms and 2 bathrooms. 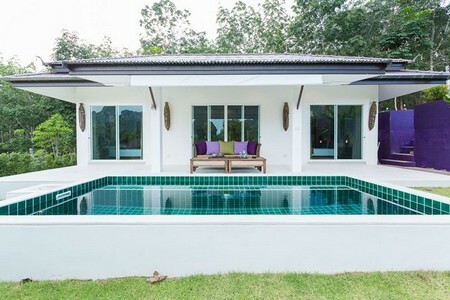 The villas share 13.75 rai (22.000 sq.m.) 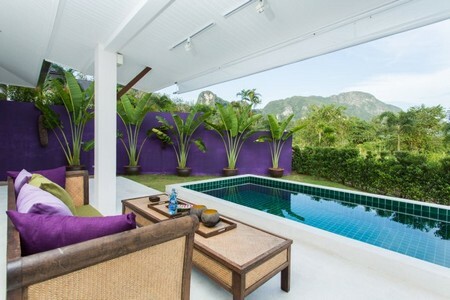 100% ecological tropical garden (14,000 sq.m.) & rubber plantation (8,000 sq.m.) 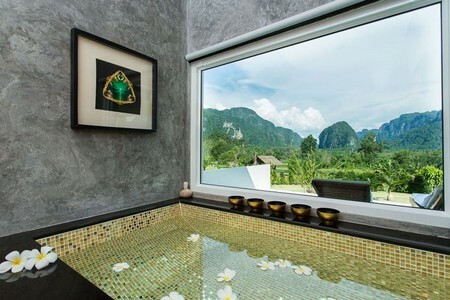 offering different secluded areas for relaxation. 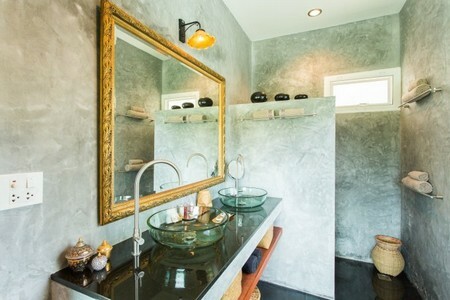 Each of the 3 villas are separated by lush tropical trees and vegatation and offer full privacy for each family. The largest villa has appx. 360 sq.m. living space, the second villa has appx. 140 sq.m. living space and the third villa has appx. 110 sq.m. living space. 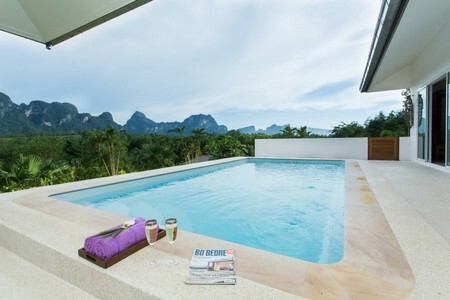 The villas are currently used as a tropical rental business, but can also be used for 2-3 families who want to live together either permanently or as a holiday retreat. 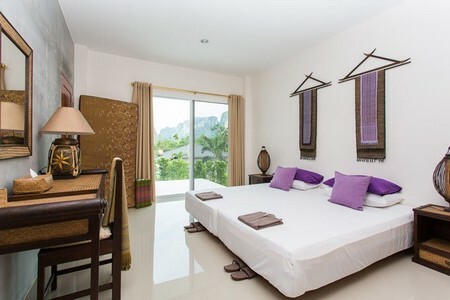 And since there is lot of space, it would be very easy to build further 10 to 20 villas or bungalows for rent. Only your imagination is setting the limit! For regocnized brands it would be a perfect hideaway to add to your portfolio. 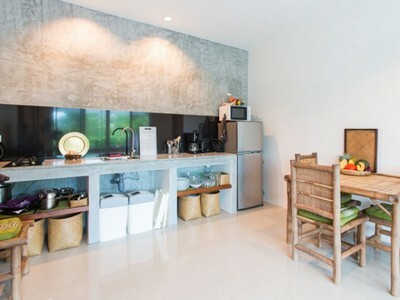 It features a dam with tropical fish and a cozy Sala (covered terrace with it's own kitchen and bathroom) at the waters edge. 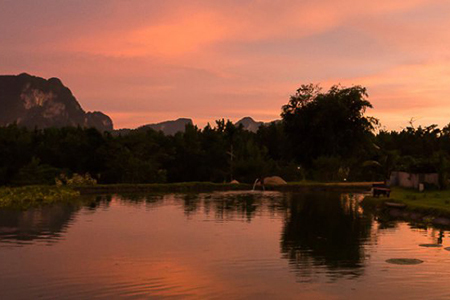 This is an idyllic spot for cocktails and barbecues - and the perfect place to unwind and watch the spectacular sunrises. 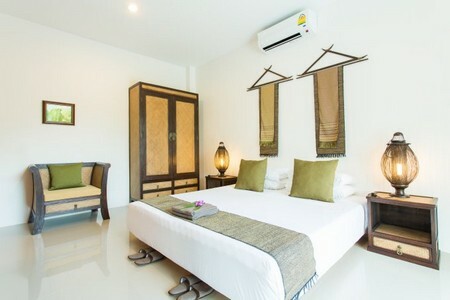 These villas feature a small kitchen and living room, including 42" Smart-TV with more than 100 internationa and local channels to choose from, and two en-suite, air-conditioned bedrooms - with comfortable beds (one king-size and one twinbed). 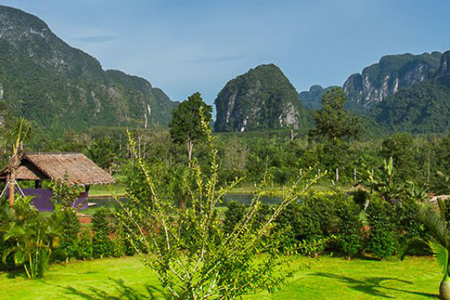 The village of Ban Nai Sa is only 1 km away and here you will be able to stock up on basic food and drinks. 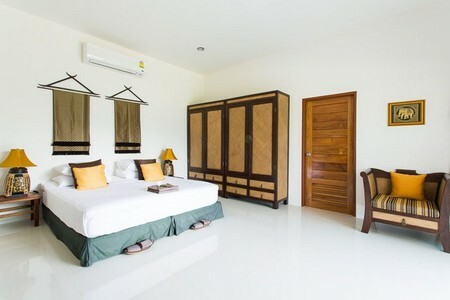 The villas are situated a 10 min. drive from the local Tha Lane Beach. At Tha Lane Harbour you can rent kayaks and boats or take ferries to the Koh Yao Yai- and Koh Yao Noi islands or daytrips to the mangroves and the closeby Hong Islands. You Can Own In Your Own Company Name! 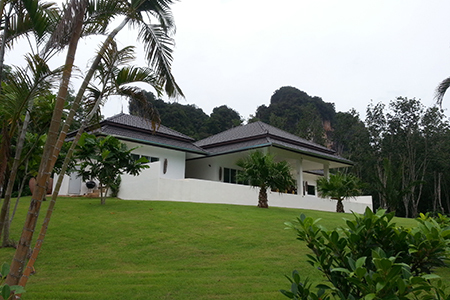 Are you looking for a way to settle in Thailand and earn a living from your investment? Then THIS offer is your chance! 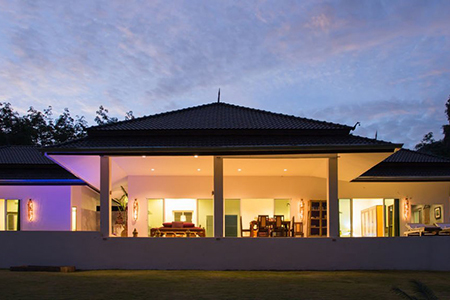 You can own this property in your own name via a Thai Limited Company. The company is already set up and you only need to add your name to the docs as managing director, and let your trusted Thai contact jold 51% of the shares and there you go! Please have in mind, that even you only own 49% of the shares, you still have the full power and control of the company, since you are the only managing director with the power to sign any documents and the only one with access to the company bank account. Furthermore your shares have more votes than the major Thai shareholder. So ... again... you are in full control! 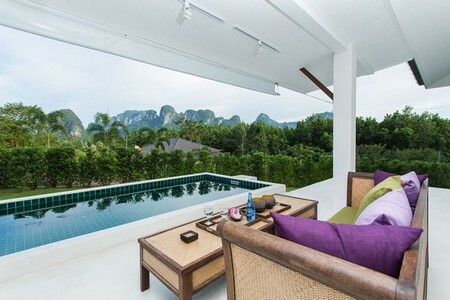 Another advantage owning this property in your company name is,that you then will qualify for a renewable 1 year visa for Thailand no matter your age and means of living. Let's get the ball rolling, shall we?